Why Buy a Havasu Home in 2018? In real estate, timing is everything. The Lake Havasu real estate market was hit particularly hard when the bubble burst back in the mid-2000's. With an economy heavily dependent on construction, builders began folding left and right. Even companies with a long history in the Havasu area struggled. But the tide is turning. Have you been thinking about buying a new house but are still wary about pulling the trigger on an actual purchase? Why buy a Havasu home in 2018 instead of waiting until next year? 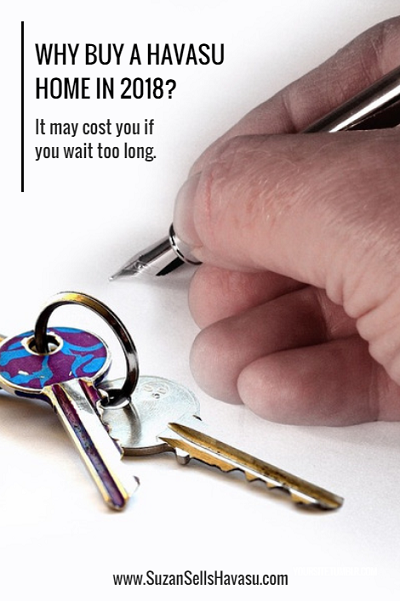 Because it could cost you if you wait. After several years of interest rates in the low 3% range, rates have begun to climb again. Currently, Wells Fargo shows rates at 4.125% for a 30 year fixed-rate loan. The Federal Reserve has begun to increase rates incrementally over the past couple of years after several years of no increases at all. Experts believe we could see a few more increases happen over the next 12 months. Don't be surprised if you see 5% by the end of the year. The higher the interest rate, the more you pay for your Lake Havasu mortgage. This could affect affordability for many Havasu home buyers. Buying now locks in the current lower rates. 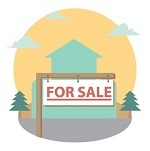 Last January, the average sale price for a single-family home in Lake Havasu City was $260,907. In November (the most recent figures available), it rose to $275,676. That's a 5.7% increase in just under a year. While not the double-digit increases experienced in the previous two years, prices are still going up. The closer we get to spring, the more likely they are to increase again. That's the busy season here. Our inventory doesn't appear to be a problem for the Lake Havasu buyer. Absorption rates currently sit at around 11.2 months available. That means there are plenty of homes to choose from. That's a far cry from other places around the country. Sellers are much more likely to make deals when there is a lot of competition from other sellers in the area. Don't wait any longer. Dive into the Havasu real estate market now. Owning your own piece of the American dream is always preferable to renting it. And if you're a first-time homebuyer, there are several programs you may be able to take advantage of. Contact me when you're ready to start looking.